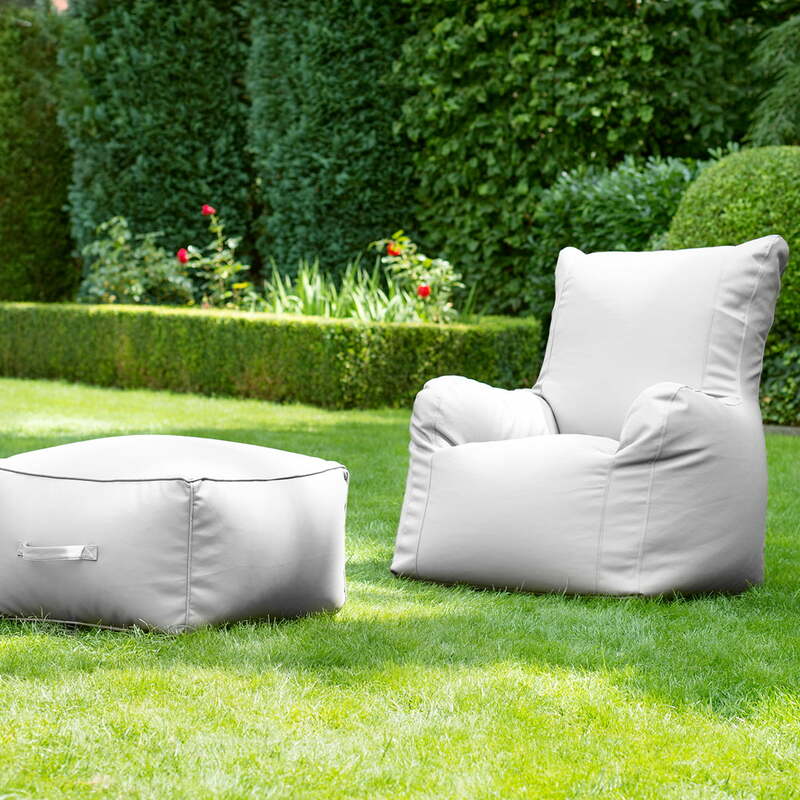 The Checker XL armchair by Sitting Bull is not a classic bean bag, rather, the Checker is a modern armchair for indoors and outdoors that promises exceptional comfort with its extra high backrest. You can lean back on it and relax, whether in the living room or backyard. With the particularly weatherproof and UV-resistant material, the Checker XL beanbag is not only suitable for relaxing at home. The chair is also a welcome guest in the garden, next to the pool or on the balcony. The durable polyester fabric is dirt-resistant and waterproof thanks to the coating on the back. As part of the Home & Garden Collection by Sitting Bull, the Checker is a universal and light chair, which provides ambience in the living area as well as in the garden. 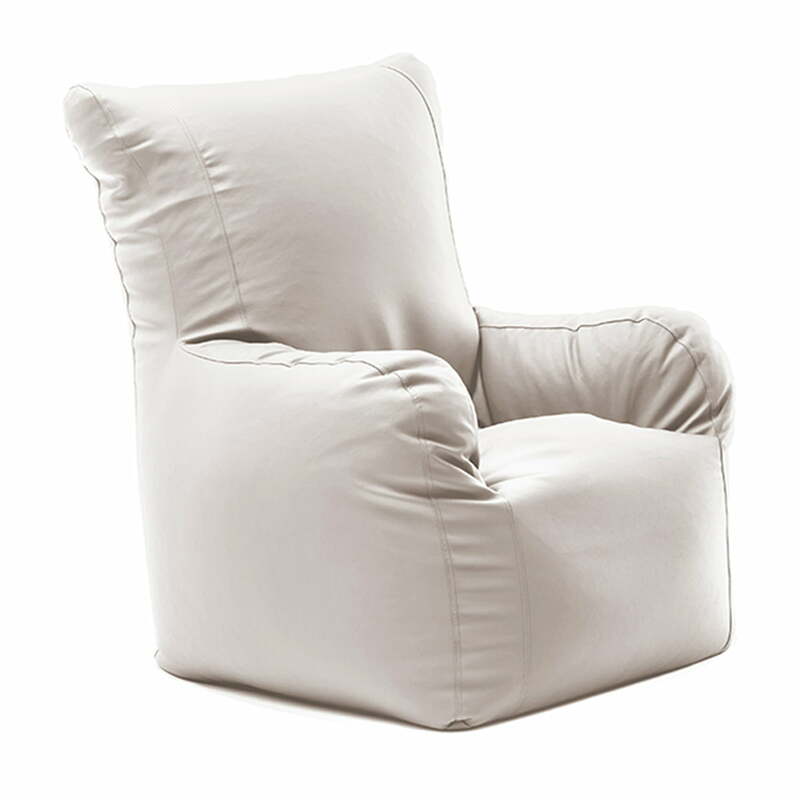 The Checker XL armchair is also available with a soft polyester cotton cover specially designed for indoors. Single image of the Checker XL High Armchair Outdoor by Sitting Bull in beige. The Checker XL Armchair with high backrest by Sitting Bull is not a classic bean bag, rather, the checker is a modern armchair for indoors and outdoors, with its extra high backrest that promises comfort. Single image of the Sitting Bull colour pattern of the fabric in beige. The fabric is suitable for Sitting Bull cushions for the collections of the indoor and outdoor area. Thanks to the particularly hard-wearing materials, the Checker XL high back chair and table by Sitting Bull can be moved outdoor in the summer garden.